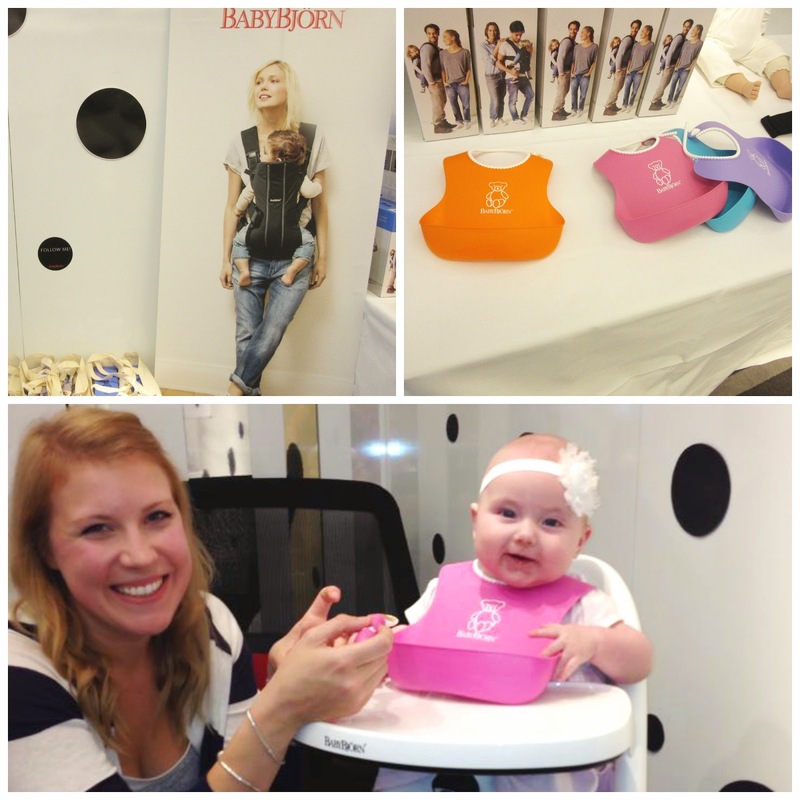 We were very lucky little cookies last month and were invited to the BabyBjörn interactive blogger breakfast to celebrate the launch of their new carrier, the BabyBjörn Carrier We. 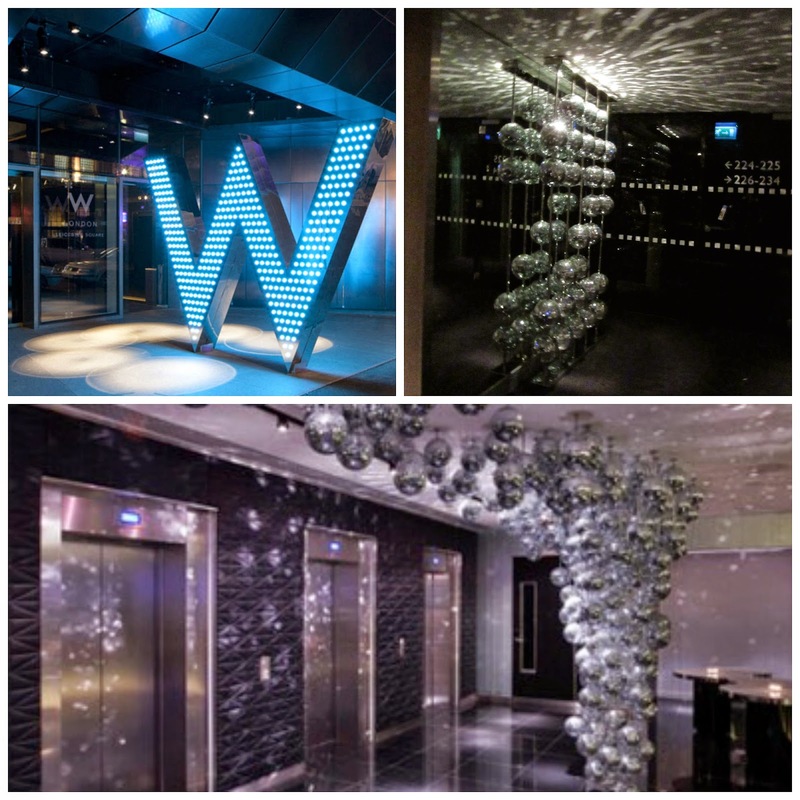 It was held at the W Hotel in Leicester Square in London and what a location that was. Just look at these photos! It was such a fun, quirky hotel. I'm trying to convince the husband to book us a night or two there! 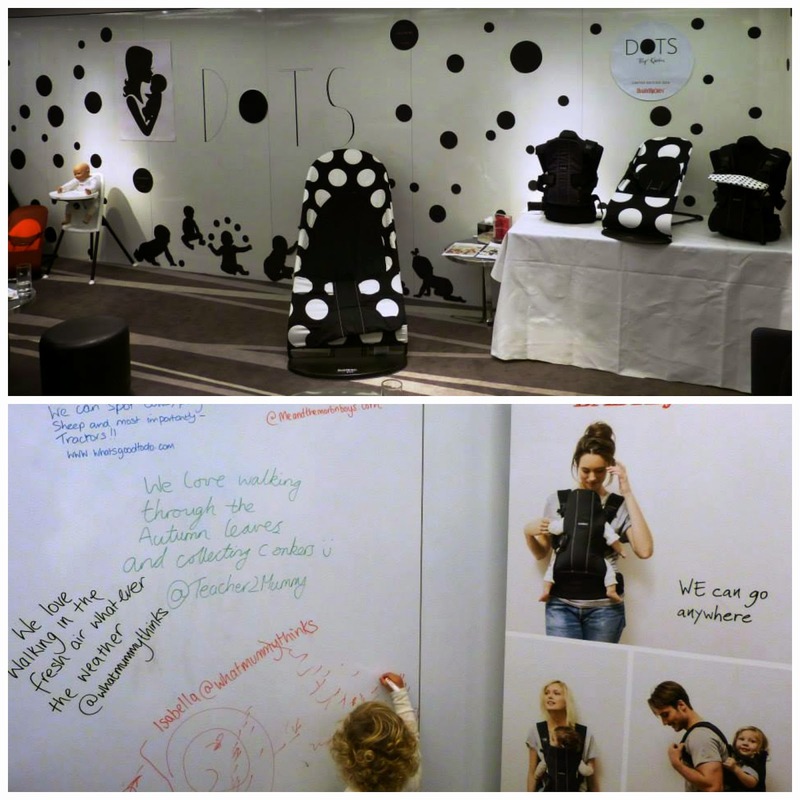 The room was set up really nicely with the logos and dots all over the walls. There was even a whiteboard for us to leave little messages saying where would be our favourite place to go when using the carrier, which was really fun. We also got to try out a variety of other BabyBjörn products including their feeding range, a highchair and a bouncer. The feeding range is so colourful and fun with the most beautiful detailing. The pearl neck part is so cute. We've been using ours every day since and it's dishwasher safe too. Even better! The highchair was really clever because the whole tray just comes up and down which makes getting baby in and out super easy. The shape of the highchair is just perfect and Isla fit into its so well compared to other highchairs. She was really upright and comfortable in it. It also looks very easy to clean and wipe down - essential when weaning! I'm sorry but I have to say it...we need this bouncers in our lives! The husband won't agree to buying one at the moment so will either need to beg BabyBjörn for one, borrow or steal one haha. Only joking, I promise I won't steal anything. That would be naughty. The adult one is a PR prop unfortunately, otherwise I would be taking out a loan to buy one! It's literally the only bouncer i have ever come across that will keep Isla quiet for more than 10 minutes. The design is absolutely gorgeous. So sleek and modern compared to some of the gaudy ones out there on the market (one of which I own!). It's so comfortable for baby and the straps to keep them in pop on and off with so much ease. There is no worry of trapping little fingers in them. 10/10 for this bouncer. All in all we had such a fab day. Thank you so much BabyBjörn for inviting us and our review on the BabyBjörn We Baby Carrier is coming very soon. Just have to finish off editing the vlog to go with it. Can't wait to share it with you. What do you think of the BabyBjörn products? Do you own any? I've heard the bouncer is excellent - lots of people compliment it :) I would love to have an adult sized one - looks super comfy! So have I, will have to find a way to get one! It was super super comfy :) Thanks for commenting! This place is amazing! I went to a party there and the place was simply breathtaking. I would recommend this place and event planner to anyone. A business planner working in the city of Toronto farm table rentals in san diego can ask the company to make arrangements before they begin the preparations.